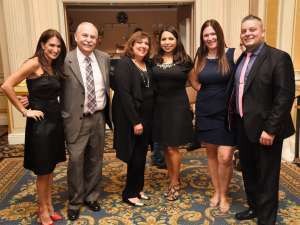 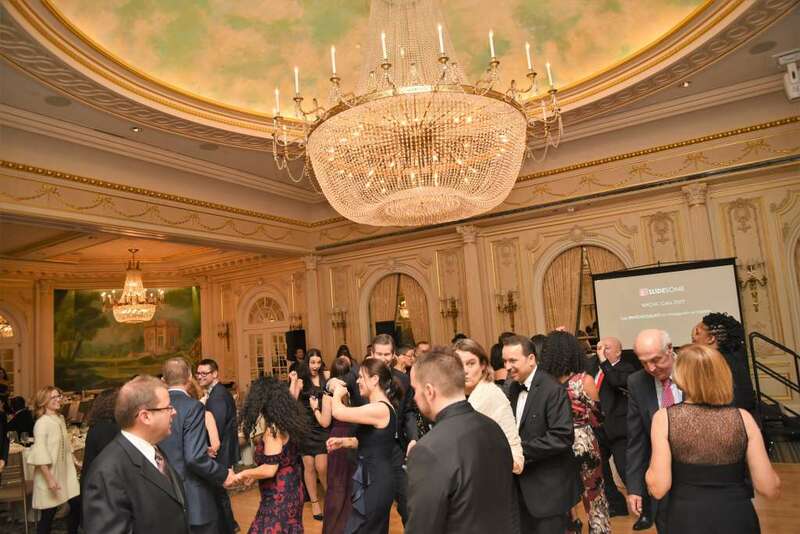 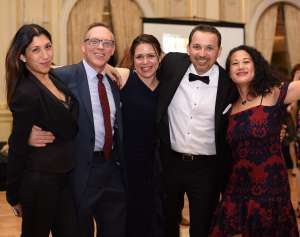 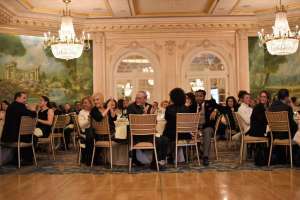 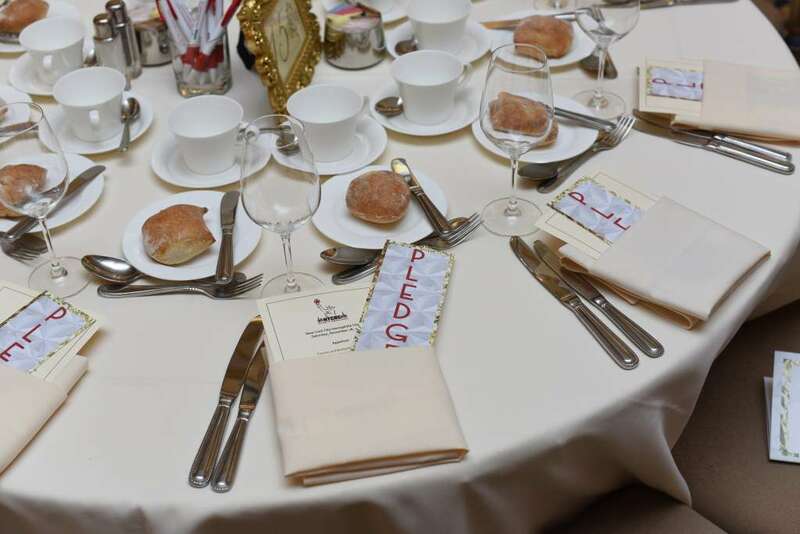 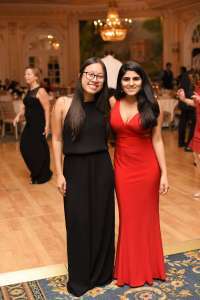 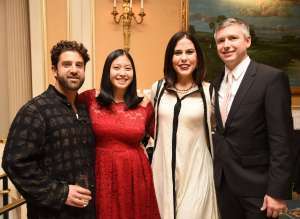 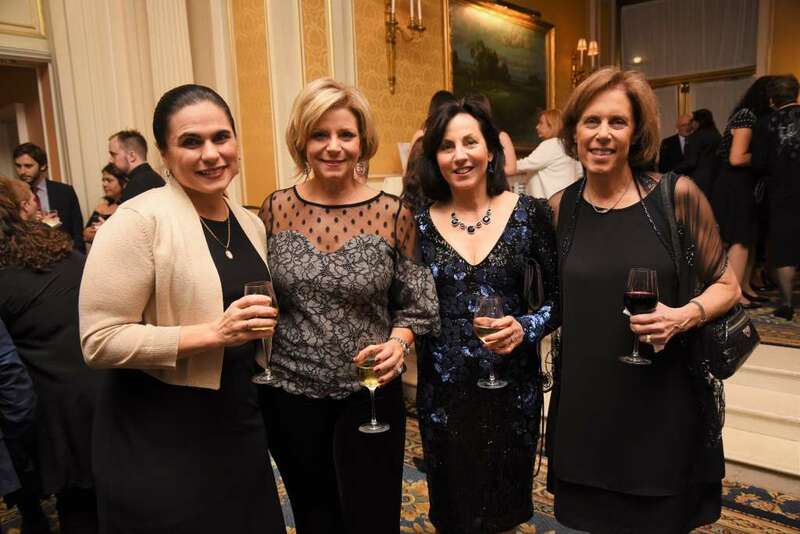 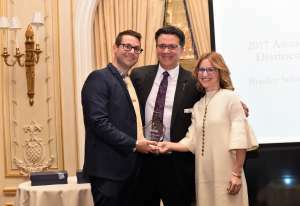 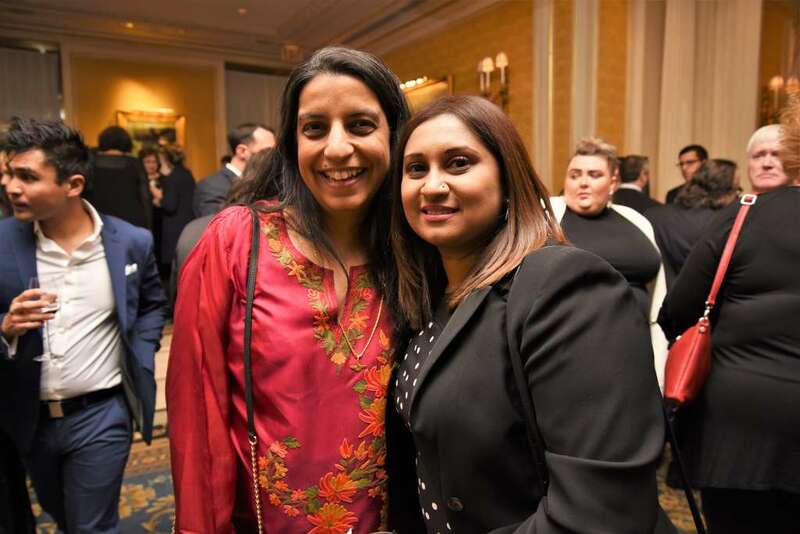 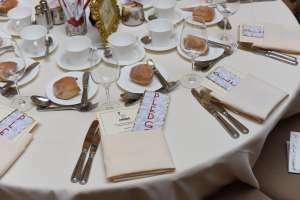 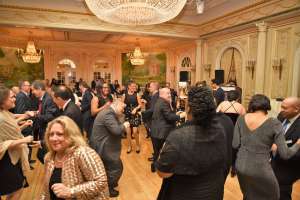 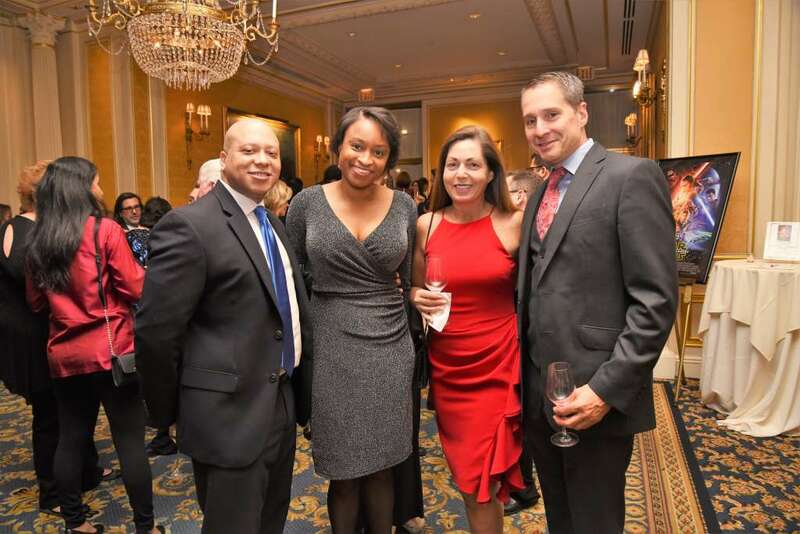 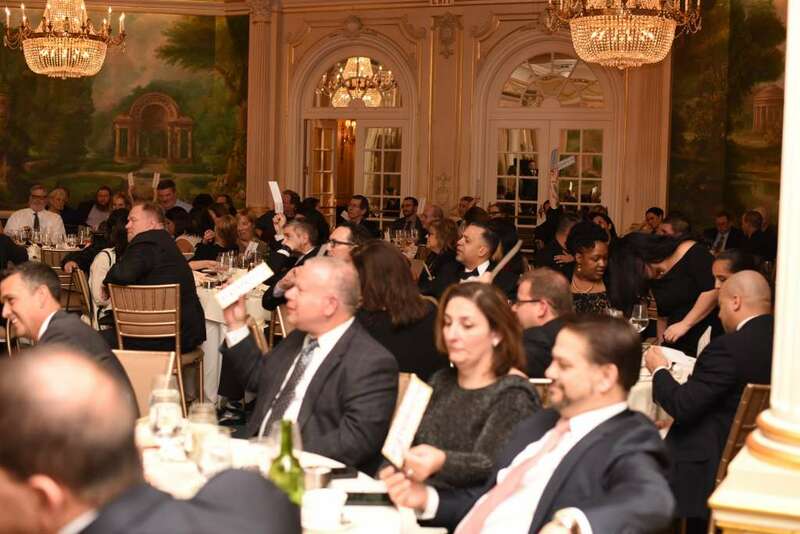 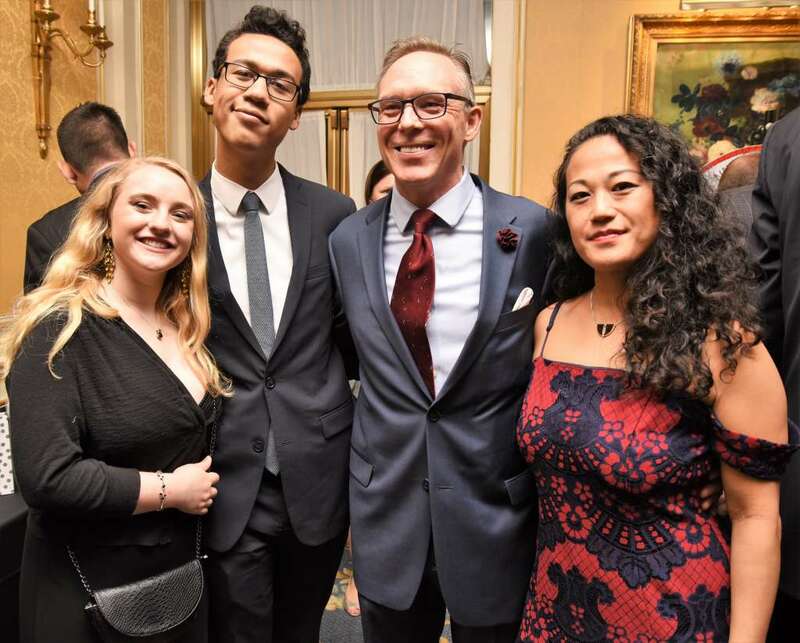 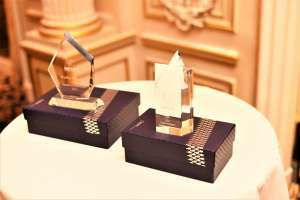 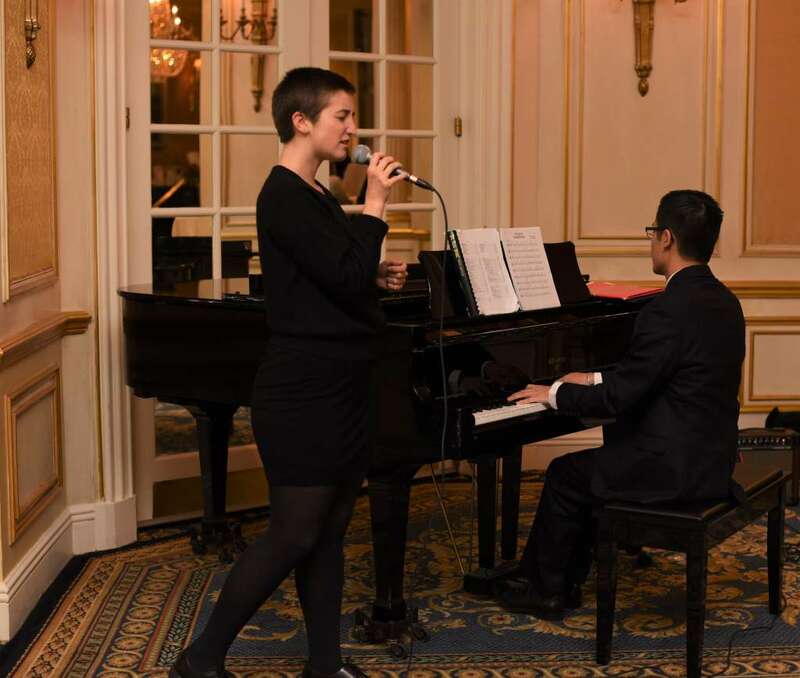 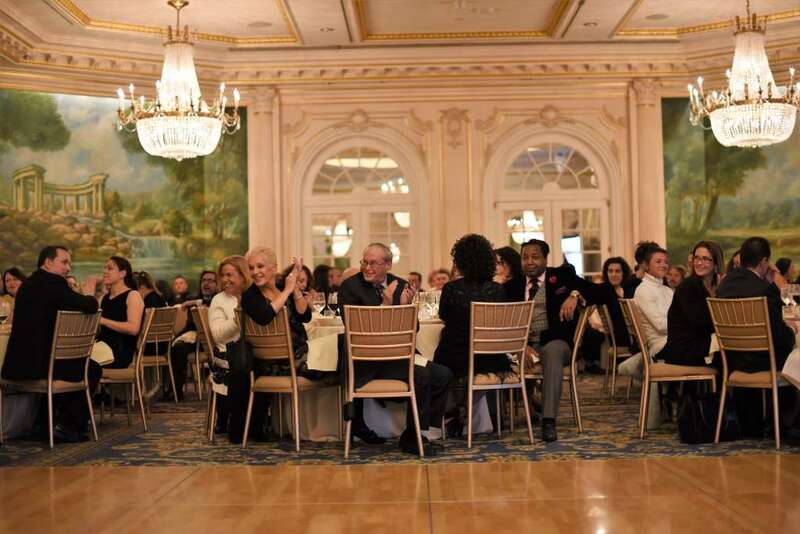 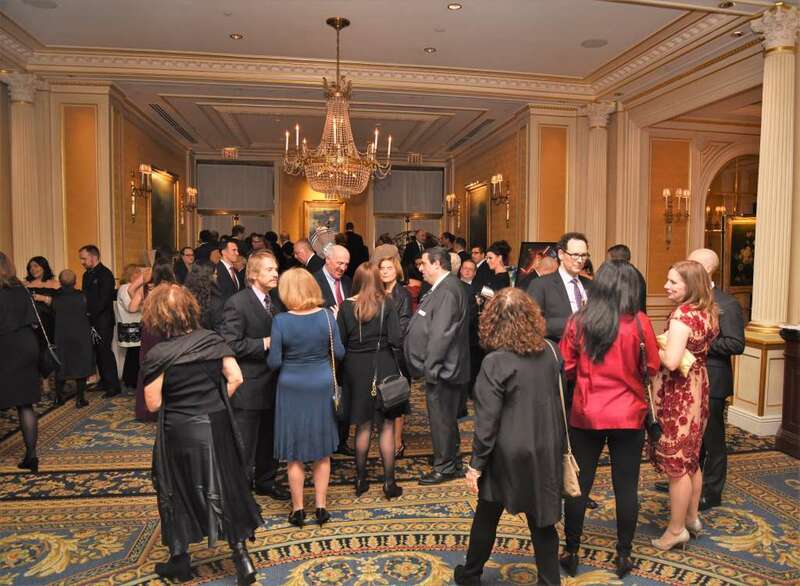 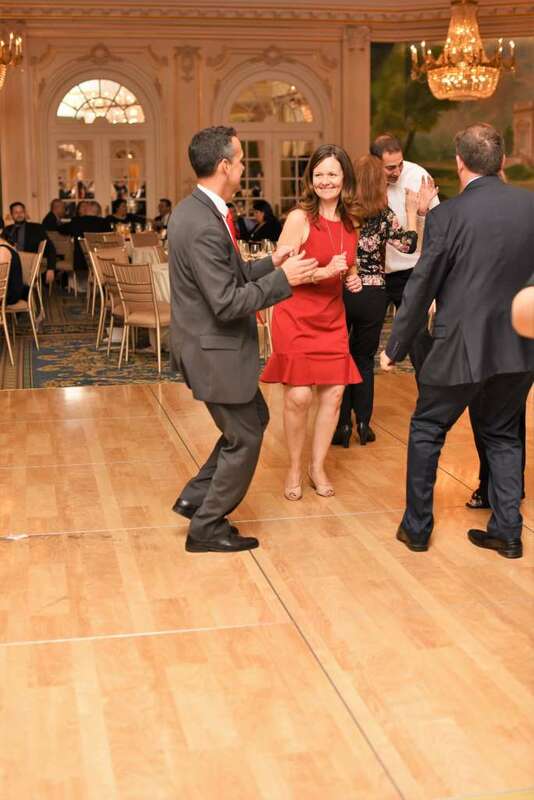 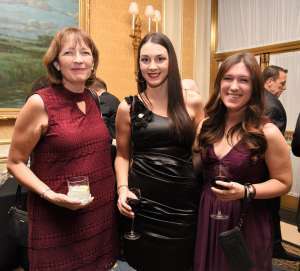 On a chilly night in mid-November, NYCHC held its annual gala at the JW Marriott Essex House. The Art Deco building on Central Park South lent the affair an ambiance of historic glamour and charm. 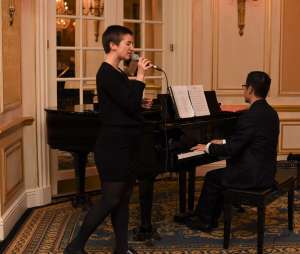 Adding to that charm, the night opened with cocktail hour and raffles, accompanied by a performance by Grant Hiura and Caroline Getz of jazz band Hexual Ceiling. 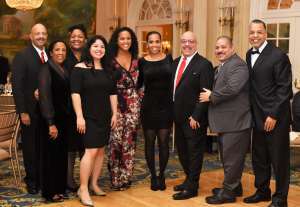 Though it is NYCHC’s second largest fundraising event, the Gala is also a chance for the Chapter to honor our community members. NYCHC honored Bradley Schoenfeld and Aliana Soto with the Award of Distinction and Susan Galligan Volunteer of the Year Award, respectively. 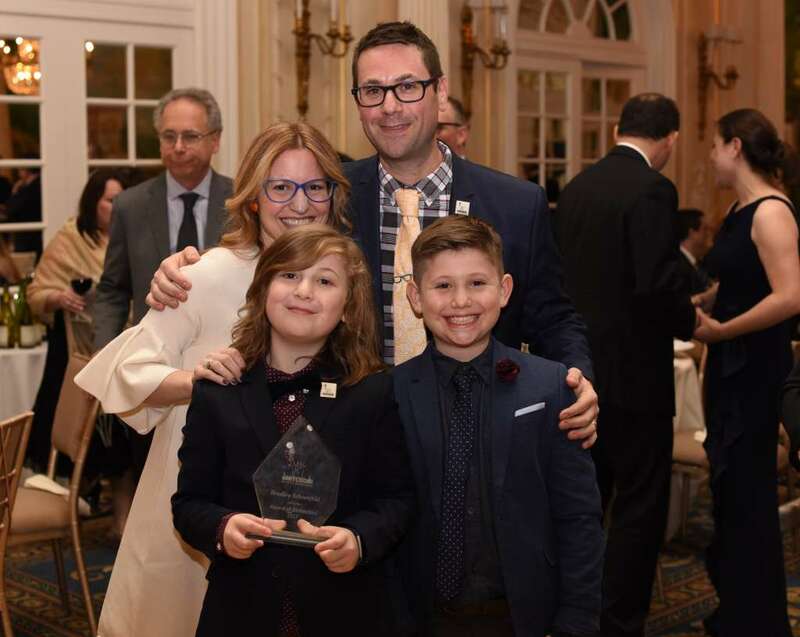 The Award of Distinction, the highest honor given by the Chapter, is given to those who have dedicated their lives to the bleeding disorders community. The Susan Galligan Volunteer of the Year Award is given to the Chapter volunteer who has made the greatest impact on both the Chapter and the community. 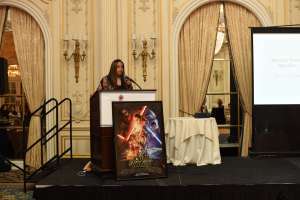 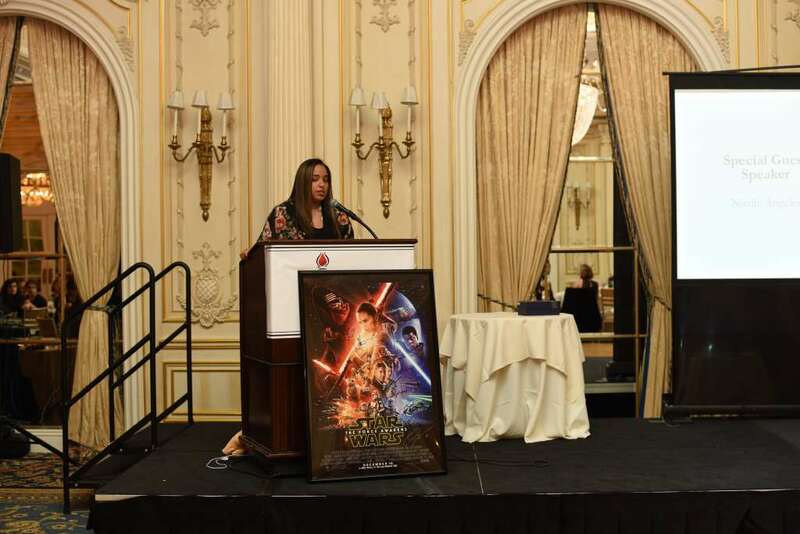 Featured speakers included Nicole Angeles, who shared her story of struggle with von Willebrand disease and how she found hope through the Chapter. 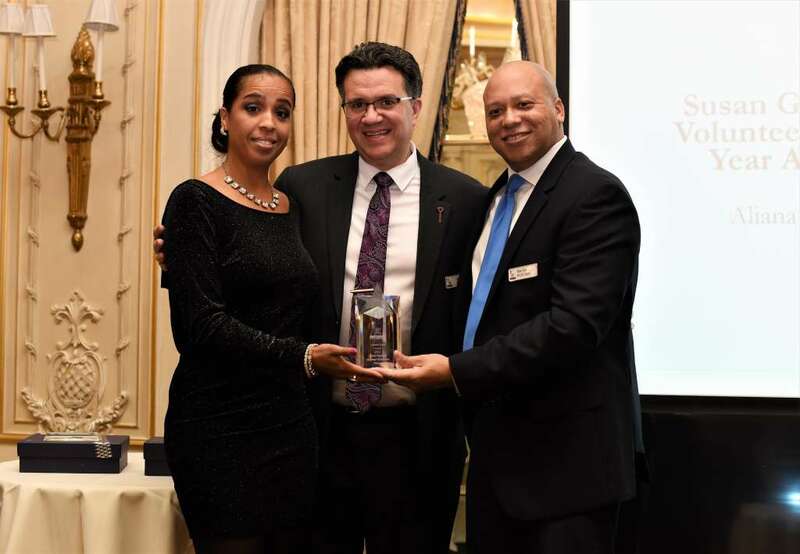 Also featured were Chapter founder Melissa Penn and Bill Patsakos who spoke passionately about the trauma and trials of Puerto Rico in the wake of the destruction and devastation of Hurricanes Irma and Maria. 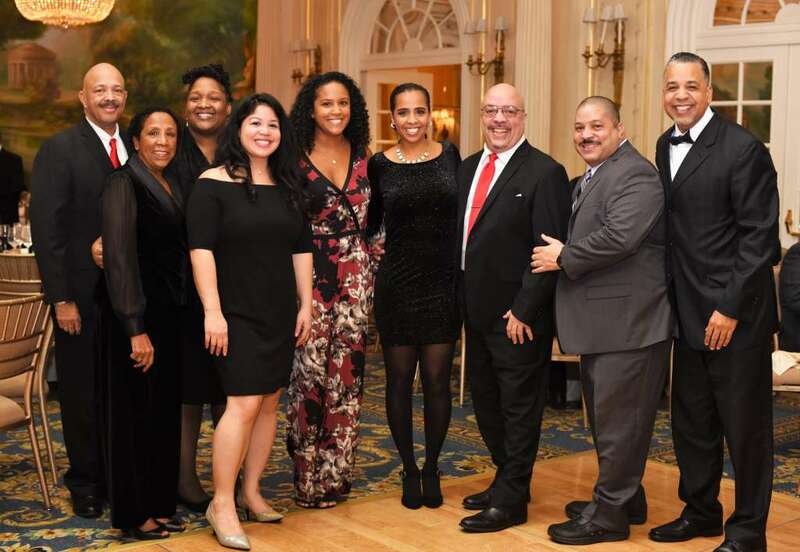 Patsakos, a 9/11 first responder and local hemo-dad, shared his first-hand account of his most recent relief trip to Puerto Rico with FEMA. The speaking program concluded with a lively paddle pledge and the $9,000 raised will go toward relief efforts as well as aid to the bleeding disorders community in Puerto Rico. 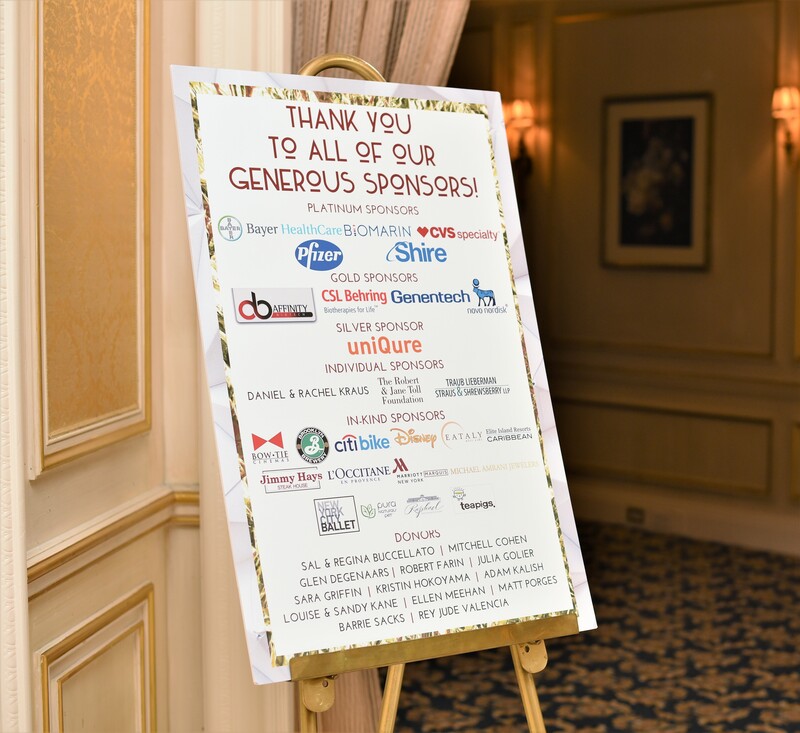 Matching donations have generously been secured by both Hemophilia Federation of America (HFA) the National Hemophilia Foundation (NHF). Once speeches concluded, dancing ensued and continued until night’s end. Winners of the raffle were announced. 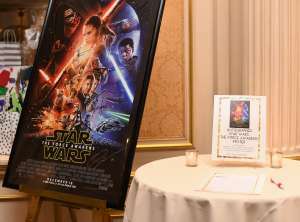 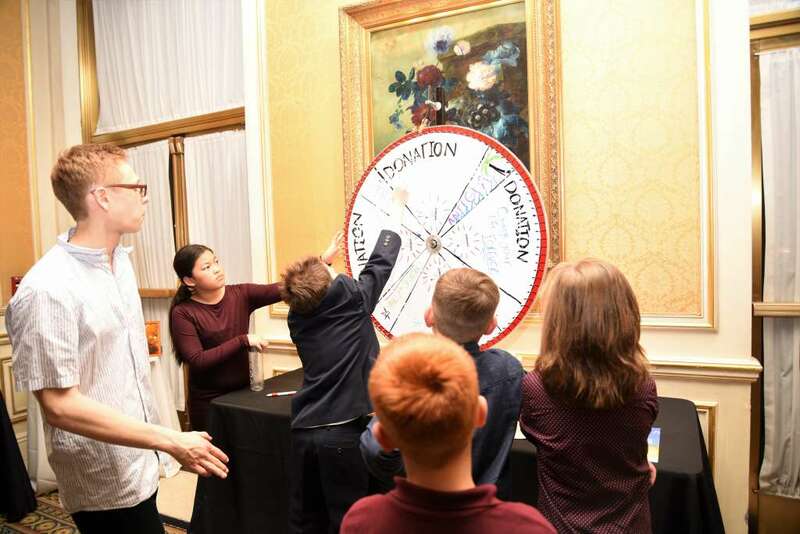 Prizes included basketball, hockey, baseball, and football tickets; Citibike memberships; and more, and a signed Star Wars: The Force Awakens poster was auctioned off. The event raised in total over $115,000 which will go toward educational travel grants, research, advocacy efforts, and more.